Hi you all! 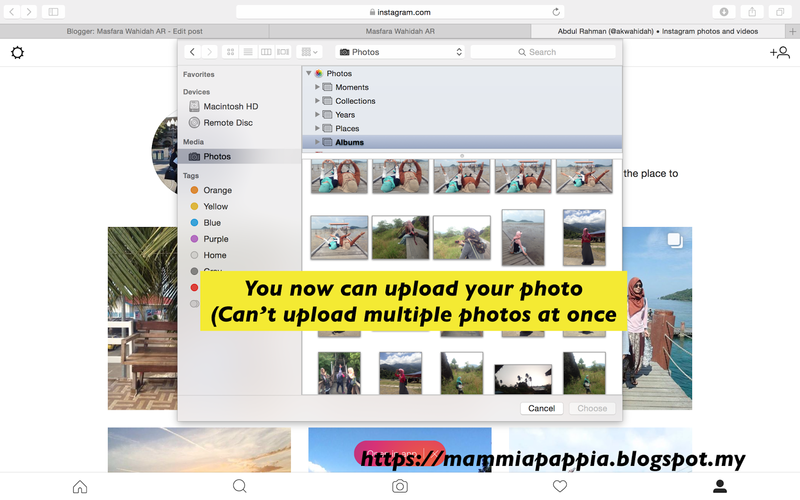 Today I am going to share a tutorial on how to upload your photo to Instagram from a Macbook. Basically Instagram photo cannot be uploaded thru laptop/desktop because it is a mobile-apps. 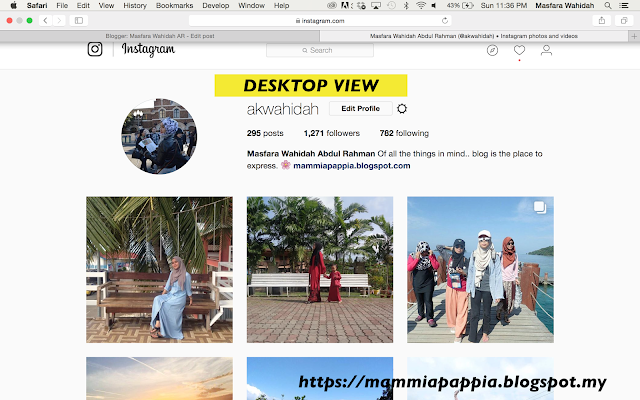 So, if you log in to your account on a desktop view, you can only see the feeds, but can't upload any photos BECAUSE INSTAGRAM WON'T ALLOW YOU TO DO THAT. But, for those who are a Macbook users, here's a liitle trick for you! 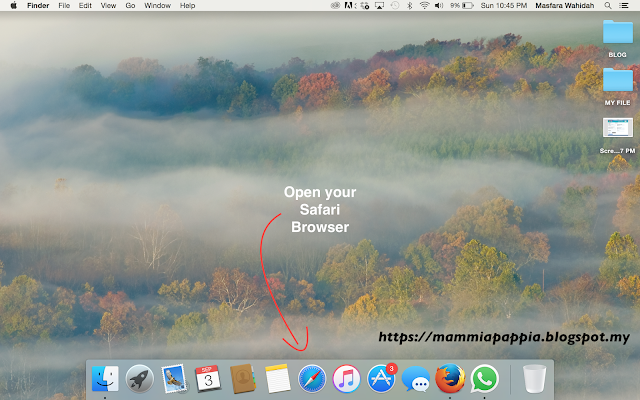 1) Open your Macbook and make sure to have the internet connectivity. 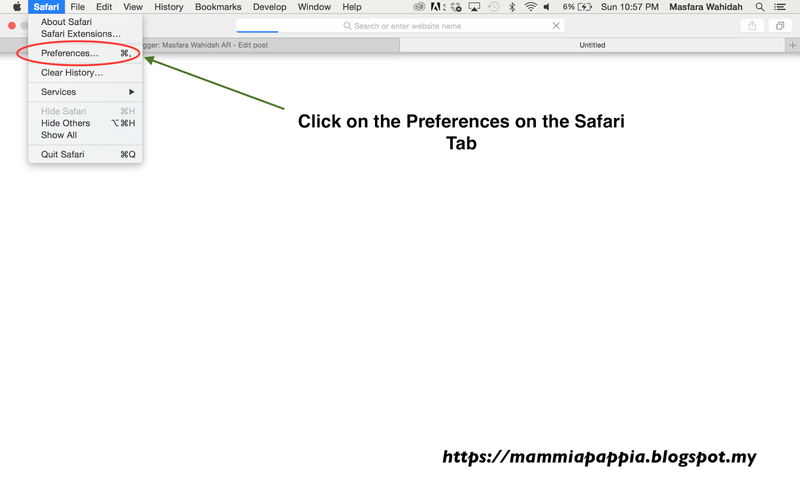 Head to your Safari Browser. 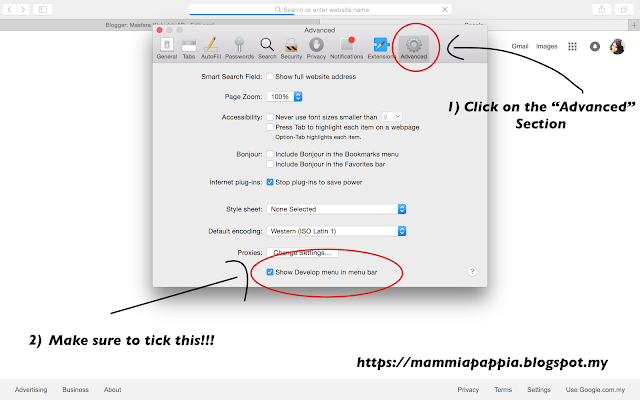 3) Head to the "Advanced" setting and look at the bottom part of the interface. 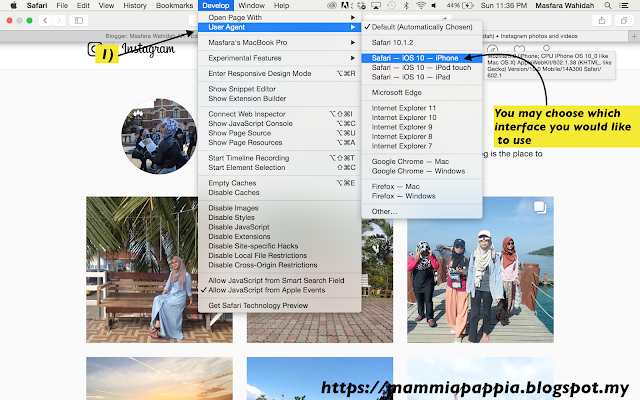 MAKE SURE TO TICK "Show Develop Menu in Menu Bar"
4) Once you finished, go to the instagram.com and log in to your account. 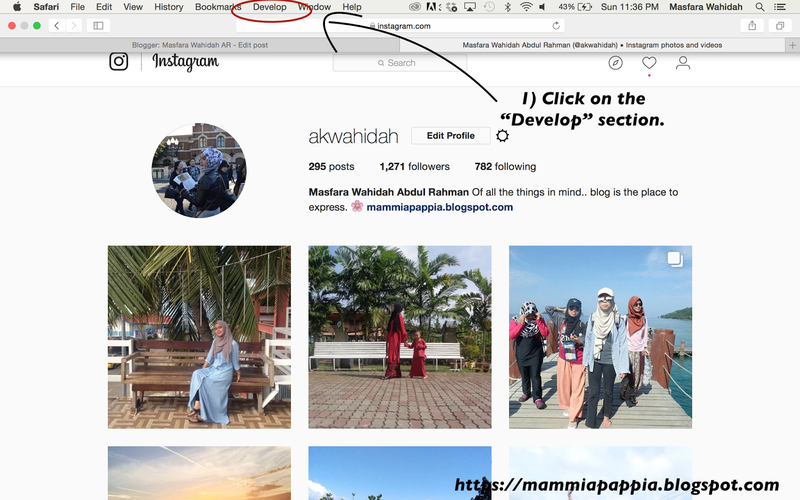 Click on the "Develop" section as illustrated on this following photo. 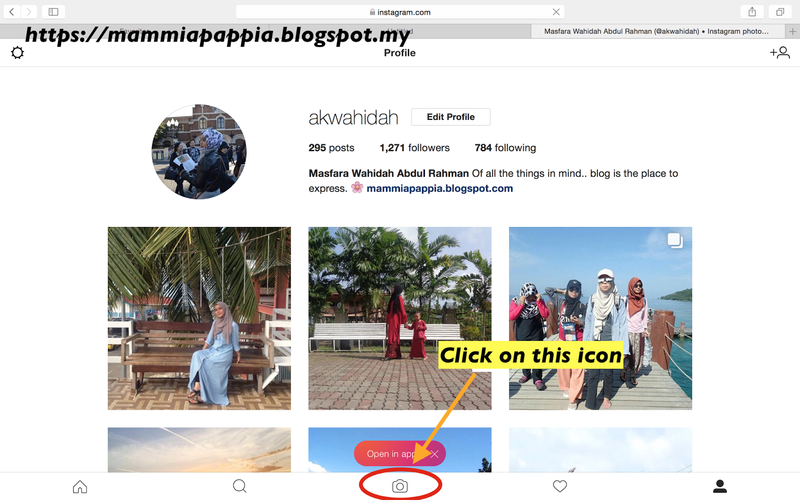 5) Follows the steps on the photo below. Desktop view does not provide you with the icon to upload your photo. Thanks for reading and please enjoy uploading your photos!